After retired Edmonton teacher Fred Sproule had a stroke, his wife Laurel had to teach him how to read again. "As soon as he knew my name ... 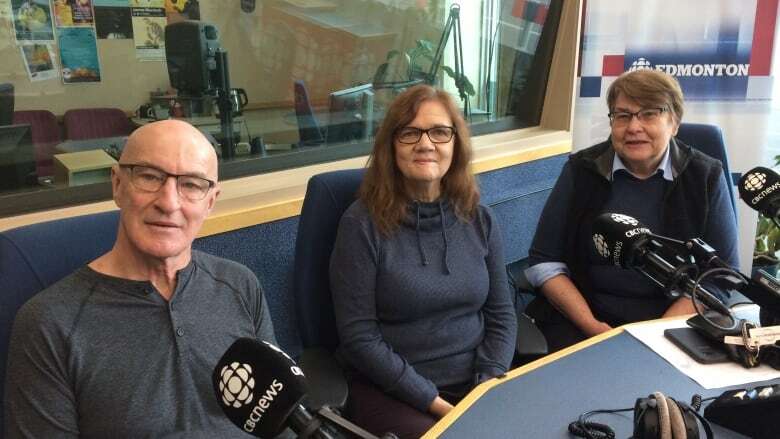 I thought, 'OK I can deal with this' "
When Fred Sproule, a retired teacher living in Edmonton, had a stroke in 2013, his wife Laurel had little information about what they'd be facing. Fred's stroke followed a week after a heart attack and Laurel noticed, "a series of strange things happening to Fred and no one explained them to me." Laurel learned about one major cognitive problem while Fred was in the hospital. "All these doctors kept coming and asking him to write something on a piece of paper and then they would ask him to read it and he couldn't read it, and I thought, 'This is really odd. Why are they doing that?'" They told her Fred had a rare condition called alexia without agraphia. "[It] means he could write things but he couldn't read what he wrote," Laurel said. "And it turned out — in the bigger picture — he couldn't read at all. He had to start over again learning the alphabet." So Laurel, a retired teacher, taught her husband to read. Before the stroke Fred had done most of the driving, cooking and grocery shopping for the two of them, once he came home, Laurel had to take over those chores. How Fred and Laurel learned to cope with the transition became part of a University of Alberta study of 18 couples with one partners experiencing a stroke. PhD researcher Sharon Anderson published her findings in the Cambridge press journal Aging and Society. Many couples struggle to adapt to the upheaval in a relationship when one partner becomes a caretaker, Anderson said. She found most married couples that were happy before, continued to be happy after, but there were some key strategies for making the new situation work. "Where couples were breaking down, there was no recognition of what the other one was doing," she said. Reciprocity, Anderson said, is important. Both partners must acknowledge the work their spouse is putting into the recovery. Accepting there might be some role changes is also important, she said. Sometimes a spouse must accept that helping their spouse can mean not helping at all. "The more that you enable stroke survivors to do things, the better they're going to be able to do," Anderson said. "As a spouse, it's better to sit down and have a cup of coffee and let somebody struggle to put their socks and shoes on because otherwise, as a spouse you're going to continue to have to do that. "But if the stroke survivor does it themselves, they learn, [they develop] neuroplasticity, they get better." Anderson's research also found three phases in the process of adapting to life after a stroke: Feeling overwhelmed, resolving conflict and perceiving value in the marriage. Her PhD research was in part inspired by her own experience. Anderson's husband had a major stroke in 1997 at age 46, and she was told by healthcare professionals that he'd have to live in a nursing home from then on. Instead, the couple paid for private rehab and he is now able to walk and talk, and lives mostly independently despite his disabilities. "When I get home from work, he pours me a glass of wine and says, 'How was your day?' " Anderson said. In the case of the Sproules, there have even been unexpected benefits to their relationship after the stroke, Fred said. "I think the one good thing about the stroke is that ... it really cut out about some of the volatility that I've always had in me, and it really mellowed me a bit." he said. "Basically I just had to learn how to redo things and one of the things I was determined to do was I didn't want her driving me everywhere. "I had to learn to use the bus system and it took me a long time, but I remember with pride the first time I went to the Glenrose [rehabilitation hospital] on the bus — I I got lost a few times but I didn't tell her about that — but it felt so good." Laurel said she never doubted that she and Fred would be able to adapt to life together after his stroke. "Everyday [there's] more and more of old Fred, but actually new Fred is kind of nice too." 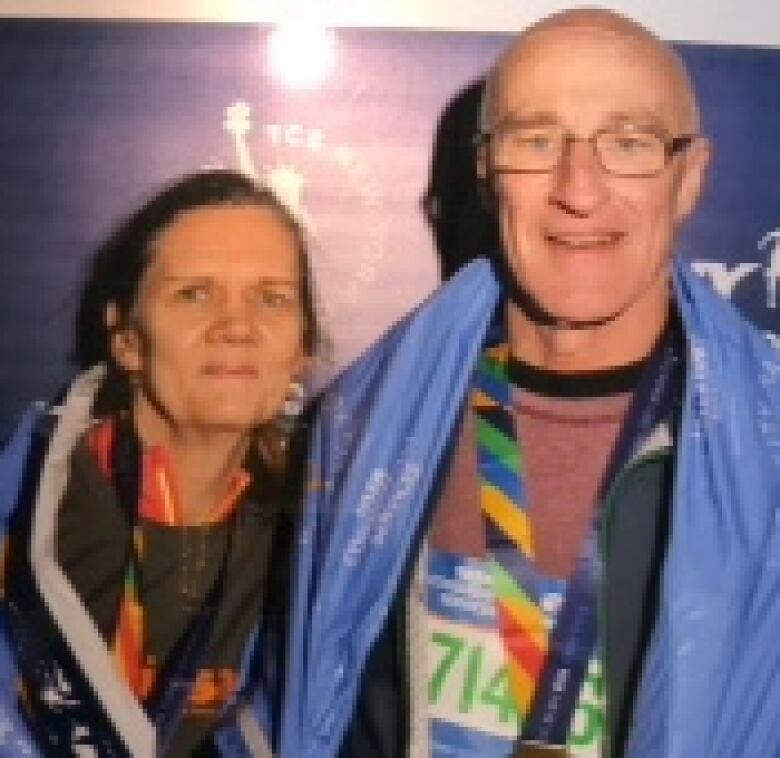 One year after Fred's stroke the couple were back to their hobby of running together. They ran the New York City Marathon in 2014. Laurel, who had been afraid of driving on major U.S. highways, overcame her anxiety for a roadtrip in Utah. Anderson said about a third of the couples in her study reached similar conclusions and more or less returned to a life in line with the dynamic they were used to in their marriage. For other couples, she found the relationship continued to be more one of caretaker and patient, and people learned to adjust to the new normal.